Windows Phone weekend roundup: A sales uptick? We don’t do too many roundups here at TNW, aside from my weekly Microsoft entry, but this weekend we are making a small exception. Over the past 24 hours, a great number of Windows Phone tidbits have dropped, and while each is not quite worth its own post, in aggregate they carry weight. 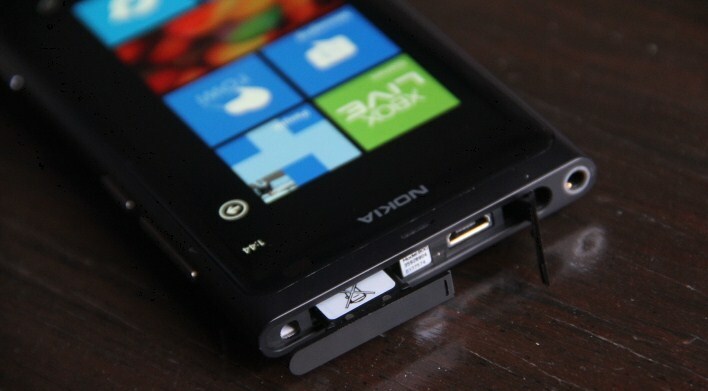 Nokia’s Lumia 800 handset is finding traction, it appears, in Northern Europe. While that is not the largest smartphone market, Nokia and Microsoft are pursuing a global strategy with Windows Phone; wherever phones are sold, they want to compete. Sure, 8% is nothing to write home about, but it’s a start. Microsoft is playing a long game. While this might be the first glimpse we’ve gotten of the 719, a few other mentions of the device have popped up in the previous months. Unwired View noticed it passing through the Bluetooth Special Interest Group for certification last month, which revealed a few of the phone’s details: a 3.7-inch Clear Black display, 5-megapixel camera, HD video recording, and not much else. The Lumia 719 certainly won’t make the front cover of Wired, but it could be another firm addition to Nokia’s budding line. Given that Microsoft is betting on Nokia to lead its mobile charge around the world, news like this points to continued corporate momentum. If you do happen to live in the UK, and read the Sun, you likely noticed a total of seven big, color advertisements for the Lumia 800 in today’s paper. Nokia is pushing hard in the British market, hoping to continue the phone’s growth there. It’s jumped from 15th, to 8th on the sales charts. And finally, Vodafone UK apparently thinks that Windows Phone is Windows Mobile. Perhaps someone should alert them of what’s changed. And there you have it, the news, in brief.